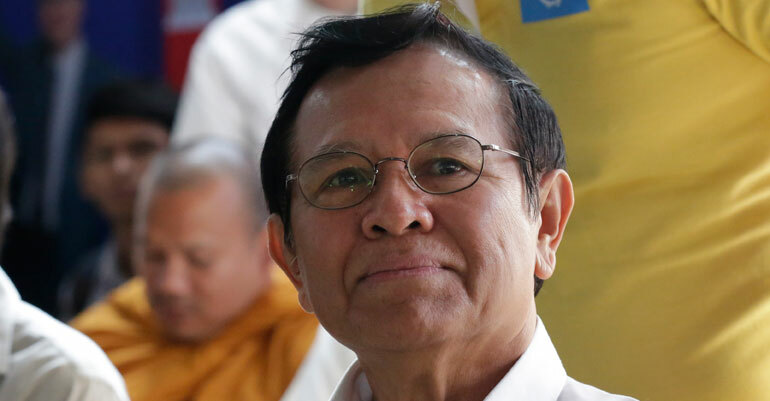 PHNOM PENH – Cambodia's opposition leader Kem Sokha was released from jail early Monday a year after he was detained on treason charges, as the country's strongman ruler loosens his grip on opponents after sweeping one-sided elections. The opposition figure still faces up to 30 years if convicted of treason. His bail conditions state he must be "confined to a block radius of his residence," his daughter Monovithya Kem told AFP, suggesting his movements will be restricted in some way. But the end to his prison ordeal -- for now -- was welcomed by supporters whose political views were muffled during the election period by Hun Sen's repression. "We hope that from now Cambodians will have freedom to talk on all topics," supporter Sun Socheat said. The CNRP made major gains during a 2013 election, propelled by significant disatisfaction among Cambodia's large youth population, in a surprise showing that rattled Hun Sen. But the party was then picked apart by Hun Sen, with many of its leading figures fleeing abroad. Kem Sokha's predecessor Sam Rainsy lives in self-exile in Paris to escape a slew of charges that he says are politically motivated. Western countries -- who have long been major aid donors to Cambodia -- criticised the most recent election, refusing to send monitors once the opposition was effectively neutered. Fourteen Cambodia opposition supporters jailed for insurrection were released last month. Faced with criticism over his rights record, Hun Sen has increasingly moved Cambodia closer to China in recent years with Beijing becoming both a top donor and international investor. Compared to western nations, Beijing's largesse comes with far fewer strings attached in terms of pushing political freedoms and reform. A former Khmer Rouge commander, Hun Sen has been seen by some as a stabilising force that helped bring roads and mega-malls to a country ravaged by decades of brutal civil war.